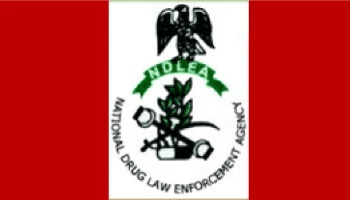 The National Drugs Law Enforcement Agency (NDLEA) in Gombe has warned intending Muslims pilgrims against smuggling of hard drugs and kolanuts to the Kingdom of Saudi Arabia. Mr Aliyu Adole, Commandant of the agency, gave the warning on Friday in an interview with the News Agency of Nigeria (NAN) in Gombe. Adole said that smuggling of drugs was prohibited and attracted death penalty in Saudi Arabia, while in Nigeria it is punishable with a minimum sentence of 10 years. “Carrying drugs to the Holy Land is prohibited, if you are arrested there, it attracts death penalty. “I advise that you don’t need to even attempt to carry it before we catch you at the airport,” he said. Adole advised the pilgrims not to accept any message for anybody in Saudi Arabia. According to him, such messages may contain illicit drugs and any person caught will not escape. “Don’t accept any message from any person, let such message pass through official way.